The drug and alcohol rehab Clearbrook Treatment Centers serves as a private, exclusive, and affordable option for New Jersey residents seeking treatment for drug or alcohol addiction. Located in beautiful Northeastern Pennsylvania, Clearbrook is only a few miles from the New Jersey border for anyone in need of a drug and alcohol rehab. Clearbrook offers a full medical detox to ensure that your withdrawal symptoms are properly managed. Once you have completed detox, our 28-day inpatient program that you receive the tools you need to maintain a sober life. We also work with many aftercare providers in New Jersey and can help you put support systems in place for when you return home following primary drug treatment. In many cases, Clearbrook can provide transportation to and from drug treatment for New Jersey residents. 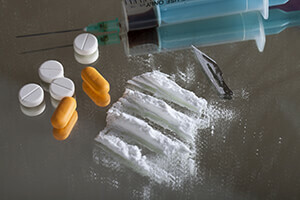 When you enter a New Jersey drug rehab, you’ll be close to home and very close to the temptation of your old life. However, by getting out of the state and into an exclusive treatment center such as Clearbrook, you will be able to focus solely on your recovery and not have to worry about the daily struggles you would feel close to home. Clearbrook has treated thousands of patients from New Jersey suffering from drug and alcohol addiction over the last 40 years. We’ve seen first-hand that patients do better in treatment outside of their home area than if you went to a New Jersey drug rehab. If you are living anywhere in New Jersey and are looking for a peaceful, private, yet affordable location to get yourself clean, then look no further. Our dedicated staff is prepared to help you. Contact Clearbrook Treatment Centers today and get the drug treatment that you need.